I'm Creamy. 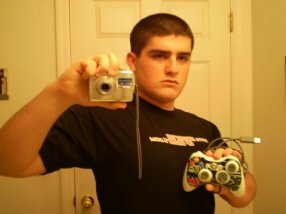 I play MLG. I love Halo 3. I will destroy you at that game. I play support. I'm going big in 2010. If you've been at events, I'm always the one screaming on main stage! Displaying 1 - 10 of 92 comments. [b]Hey! You should really update your profile man, I can't find your real gamertag anywhere now lol. I was meaning to find you, I'm getting back into Halo and might try to throw a team together. I know another guy named Entry who just started playing again and is looking for a team and used to be ranked 4th on gamebattles in 1v1's. The guy has a lot of skill so just hit me up if your interested. Will you be at MLG Dallas? That's huge about your new MLG team! Sorry for not returning your calls lately, but I want to hear more, so I'll hit you up on Wednesday. In the meantime, thanks for getting the conversations going in the MLG-dedicated areas of the GoG Forum...keep it up!